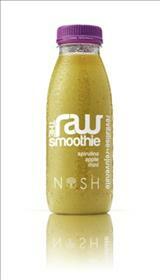 The world’s first 100% Raw Smoothie. Contains Seagreens for nutritional benefits. In our busy, modern lives, keeping healthy isn’t easy. It’s a real challenge to take care and get all the nutrients and vitamins you need. The world’s first 100% Raw Smoothie provides a solution to this problem. Raw fruit has the most vitamins, nutrients, and minerals. Raw Food Smoothies are also immune boosting, they improve in digestion and are great for weight loss as they are low fat smoothies. The fact is, most other smoothies and juices are heat-treated… which ends up denaturing the delicate live enzymes found in fresh fruit. Smoothies Diet contains at least 6 whole food ingredients in every bottle and loaded with Vitamin C. Smoothies are fabricated by raw fruits, which ensure these Breakfast Smoothies have all the necessary vitamins and minerals. Available online, in supermarkets and in health food stores.